HTC has developed a fix for a security bug that has seen some HTC Android phones leaving the Wi-Fi passwords of networks they are connected to vulnerable. Yikes, we hear you cry, for the security glitch allows any Android app on that handset to call up the network's details and send usernames, passwords and SSID information to a remote server. Some handsets won't be affected, but if you have an HTC Desire HD, HTC Droid Incredible, HTC Sensation, HTC Desire S or HTC Evo 3D you may want to investigate manually loading the fix. 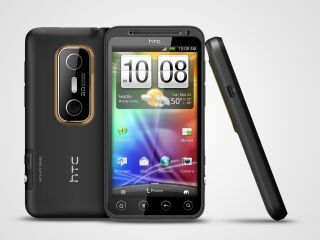 The company explains on its support site: "HTC has developed a fix for a small Wi-Fi issue affecting some HTC phones. "Most phones have received this fix already through regular updates and upgrades. "However, some phones will need to have the fix manually loaded. Please check back next week for more information about this fix and a manual download if you need to update your phone." The security slip-up was first uncovered by researcher Chris Hessing as part of his work on network security for Cloudpath Networks.